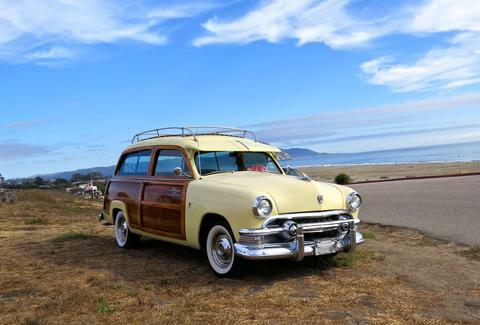 The great American station wagon was once the ultimate family road-trip mobile, the unofficial symbol of summer, and a sentimental favorite of generations. At its peak, nearly one out of every five cars sold in America was a wagon -- and the vast majority were products of Detroit. Its fall is deeply rooted in the ecological and economic climate of the 1970s and 1980s, and today, the notion of an American wagon is code blue -- there are exactly zero being produced Stateside. Instead, consumers flock to the ill-proportioned, bastardized offspring of sedans and full-sized SUVs -- otherwise known as the crossover. When done right, wagons are some of the coolest cars on the road. 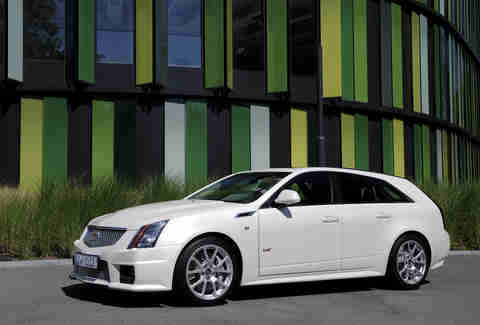 They combine the sexiness of a sports sedan with the practicality of a small truck. While there are a few European and Japanese wagons on the market here, the American manufacturers are presently devoid of a true wagon. That's not only a travesty, it makes no sense. The current crop of American cars rightly competes with the very best in the world, and there's absolutely no good reason for our dealerships to be wagon-less, beyond consumers willingly purchasing crossovers instead of a truly better and more stylish option that fills the exact same market need. For any of you reading this from an automotive design basement, please, I beseech you: bring the great American station wagon back. It's time, and we at least have to try. Wagons were once so immensely popular, it's hard to fathom today given their present paucity. 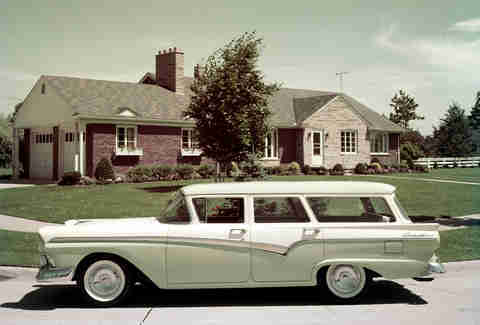 As cars began to take on the Jet Age aesthetic in the 1950s, station wagons were along for the ride. Often offered with the same trim packages as the increasingly outlandish sedans of the day, wagons became viable everyday vehicles for families with a sense of style. In terms of desirability, it was game on. In the 1960s, Chevy added the Chevelle, and Nova (among others) to the Bel Air. Muscle wagons, it turns out, were useful for more than just scattering your groceries around in the back when the light turned green. Wagons were so immensely popular, Ford even flirted with a wagonized variant of the Mustang. For a nation obsessed with the automobile, station wagons became almost as much a part of the Great American Road Trip as icons like Route 66. It's that wagon-on-the-open-road spirit that formed the basis for Clark Griswold’s eternal optimism. And of course, that spirit, juxtaposed with the sorry state of vinyl-clad wagons in the 1970s and 1980s, is what made the National Lampoon version such a funny concept. 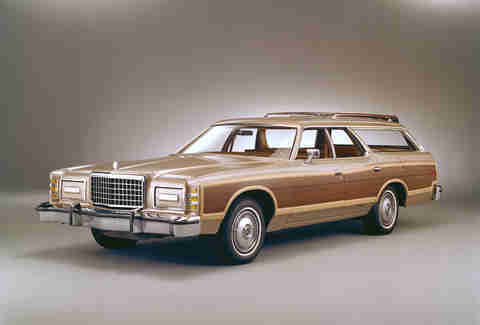 The mid-to-late 1970s was a dark time for all automobiles, not just the wagon. In the shadow cast by the oil crisis of 1973, the large V8s dotting the automotive landscape faded from their former glory into heavy iron anchors holding glorious memories in place. Around the same time, environmental standards became a thing, further reducing performance. Cars across the board in the United States were uninspiring at best, which is why that particular period is now sometimes referred to as "the malaise era." Minivans came around in the 1980s. Technically a light truck, they weren't subject to the new regulatory standards -- a loophole that also saw the rise of SUVs as larger vehicles that could hold your family and its luggage without sacrificing the glorious visceral appeal of the V8. Both of these vehicles essentially filled the same role as the family wagon, and with these two new rivals, the wagon's fall from grace was particularly ugly. The station wagon may have all but disappeared from our shores, but the market need that created the wagon boom is still alive and well -- it's just being filled by the crossover. Part of the reason crossovers like the Audi Q5 or the Toyota RAV4 are so wildly popular is that they're more car-like than their truck-based larger siblings, while still retaining the "utility" from "sport utility." They're easier to drive in congested cities than SUVs and offer more cargo space than the average non-wagon sedan. As a compromise vehicle, they're a resounding success... but they more or less are the present-day wagons for buyers who can't accept the thought of a "wagon" as cool. The irony is that they're just as uncool as the worst of the vinyl-clad wagons of 35 years ago. 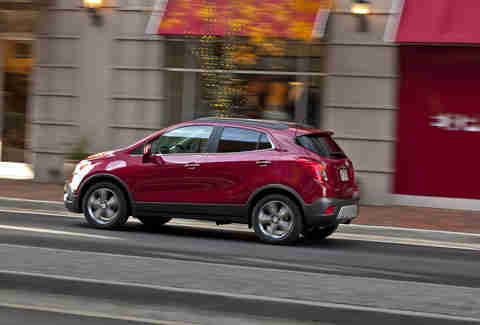 Let's be honest, most crossovers are neither handsome nor elegant-looking. They're indicative of handsome, large SUVs and of elegant sport sedans, without ever actually pulling off either look. The question is, if crossovers are what the people truly want, and they fill the same need in the market that wagons once occupied, why in the hell aren't we in the middle of a wagon boom? For all the American station wagon's troubles, European and even Japanese wagons -- generally called "estate" or "touring," "avant," or even "shooting brake" if it's sporting enough -- have risen to prominence. Good luck going to any European city and not tripping over a beautiful sea of wagons. 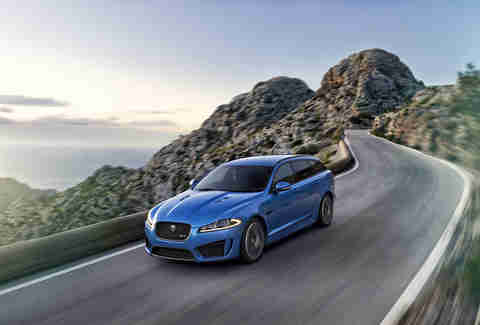 Seriously, look at that stunning Jaguar XFR-S Sportbrake above -- it's one of many European wagons for which US manufacturers have no answer. While the selection across the pond is tremendous, you can choose from only a few cool wagons in the US today, and there's not a single truly American wagon on the market. For all the monotonous blobs on the road today, our collective failure to demand that Detroit supply us with something sporting a little more personality is a damn shame. Bring the American wagon back to our roads. It's time. First and foremost, the childhood scars and residual disdain for wagons of the late 1970s through to the 1990s still prevents any real competition here in the US. That won't last forever, though: just as the early woodies evolved into the iconic station wagon that dominated the interstates, so too will today’s CUVs as drivers gradually migrate toward cars that have plenty of storage -- you know… wagons. Second, neither car was really great; they were noble offerings, but their gestation period was during the manufacturer crisis -- they simply weren't as good as the European and Japanese competition. Now, the newest offerings from GM and Ford can compete toe-to-toe with the finest offerings from anywhere, and wagonized versions would need only the appreciation of the car-buying masses to succeed. With so much of our motoring history stuffed into the wagon's oversized luggage compartment, and so much of the buying public clearly wanting exactly the kind of practicality that wagons bring to the garage, that appreciation shouldn't be hard to spark anew. It's time, people. Let's #MakeAmericaWagonAgain. Aaron Miller is the Cars editor for Thrillist, and can be found on Twitter and Facebook. Show him a shooting-brake Mustang or Camaro, and he'll buy it tomorrow.